You are here: Home / Spray Foam Blog / Spray Foam Topics / Benefits of Foam Insulation / How to Insulate Your Basement? Basement Insulation – Does it Really Do the Trick? When considering insulating your home, basement insulation is probably the last thing on your mind. You probably believe that it is much more important to take care of your internal walls and floors than to deal with your basement space. This is where you are wrong. Namely, not that this can turn your basement into a multifunctional space, used for more than only storing all the things you do not need any more, but it will also affect the overall insulation of your home. How? Well, not a lot of people know that even 35% of heat can be lost through poorly insulated basement which is a fact that should not be neglected. Only one question remains: How to insulate your basement? There are three basic ways of insulating your basement, all with their pros and cons. It is important to know that these insulation methods do not usually exclude each other, but can be successfully combined, if you have the time and the funds to do it. The first option is insulating your walls, which can be insulated externally or internally. Another option is insulating the ceiling. Internal wall insulation is probably an easier task which can be performed regardless of the weather conditions since done on the inside. It will basically keep the cold air out and the warm air in, and the other way around, increasing the overall thermal performance of your basement. It will also contribute to your home acoustic insulation, keeping your home well protected from the outside noise. However, bear in mind that if you opt for this insulation method you will have to deal with moisture issues in your basement prior to insulation and also make sure that your plumbing and wiring is properly protected. 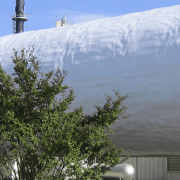 When it comes to choosing the proper insulation material, the ones most commonly used are PIR and polystyrene boards, as rigid insulation materials or mineral wool as a more lightweight solution. The boards are simply glued on the wall and covered with some, like plaster. On the other hand, mineral wool includes a metal or timber stud wall filled with mineral wool and plastered in the end. External wall basement insulation is a more challenging task, best performed during construction, but also a more complete solution, making a protective envelop around your basement. Note that this insulation method will affect the look of your building and may include certain alterations, like repositioning your window sand doors, so it must not be taken lightly. External wall insulation is a complex system, including the use of some insulation material like PIR boards especially manufactured for external applications and render systems added afterwards. This insulation method will also allow you to add some decorative finish and make your building more appealing, it will not reduce your interior space unlike interior wall insulation and will prolong the life of your basement wall by protecting the brickwork. Another option in basement insulation is ceiling insulation. Just like internal wall insulation, this will also reduce the space inside you basement, lowering its height, which could be a problem, especially depending on what you use your basement for. 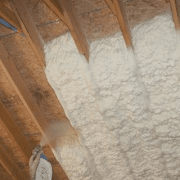 Ceiling insulation is on the other hand another efficient way to protect the upper floors of your house since heat will not be able to escape down through the basement ceiling. You are probably starting to see the downside now. Although the floors above will stay warm, insulated ceiling will completely cut off any connection between your basement and the rest of your home, which leads to a much cooler basement. This could not be a problem if that was your plan all along, but if you wanted to turn your basement into a multifunctional space, this might be an issue. 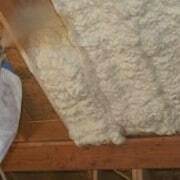 Also, if you do decide to insulate your basement ceiling, always make sure to seal all the cracks and gaps (especially the ones around pipes and wires), since if not, cold air from your basement will find a way up to the rest of your home, thus affecting the temperature and thermal performance. Insulation materials commonly used for this type of insulation are poured or blown loose-fill or fiberglass batt insulation. 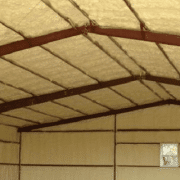 https://calsprayfoam.com/wp-content/uploads/2016/03/Cal-Spray-Foam-Commercial-Warehouse-spray-foam-Insulation.png 320 850 Jeff Christensen http://calsprayfoam.com/wp-content/uploads/2014/02/CALSprayFoam-Logo-850x-845x239.png Jeff Christensen2016-06-08 19:56:282016-06-08 19:56:28How to Insulate Your Basement? 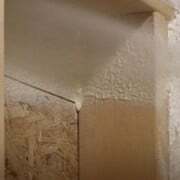 Importance of Properly Insulating Your Home What Is a Phenolic Foam Duct Panel?